Opened in 2015, FirstOntario Performing Arts Centre (PAC) is a 95,000ft2, state-of-the-art cultural and education facility, located in the Canadian city of St Catharines. It includes the Film House Screen & Stage, a 199-seat digital movie screening room which features an Alcons Audio pro-ribbon CRMS Cinema Reference Monitor System. As well as the Film House Screen & Stage, PAC features two large theatres and a studio theatre. Situated next to the Marilyn I. Walker School of Fine and Performing Arts, part of the city’s Brock University, PAC attracts 125,000 visitors every year and 500 university students daily, many of whom attend lectures in the Film House Screen & Stage. 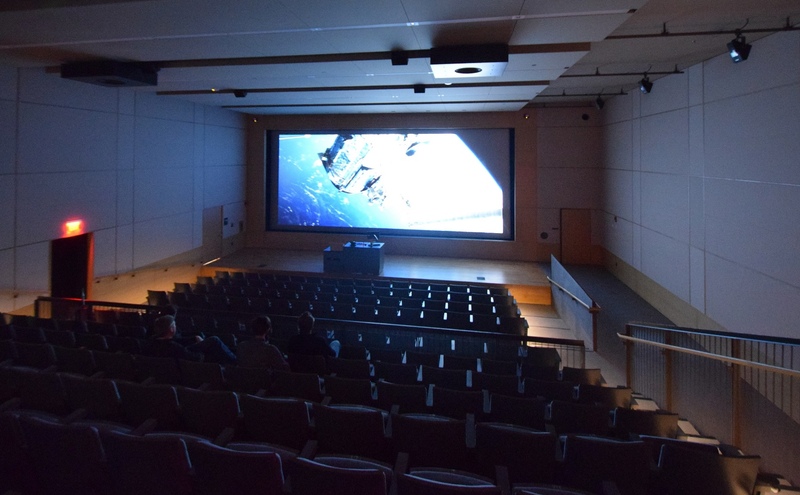 As it is used for both public screenings and education, high audio quality in the Film House was a key requirement. The audio system was designed by Connecticut-based acoustic consultants Jaffe Holden and installed by Ontario-based Westbury National Show Systems. The system comprises three Alcons CRMS mkII Cinema Reference Monitor Systems and a pair of CB362 high-output full-size subwoofer systems mounted behind the screen. A pair of CB181sl shallow subwoofer systems and eight CRMS-SR reference surrounds are mounted on the ceiling, firing down. The system is powered and controlled by three Alcons Sentinel3 and one Sentinel10 amplified loudspeaker controllers. Thanks to the renowned, superior ‘out of the box’ performance of Alcons pro-ribbon technology, the system proved very straightforward to tune and has helped to make the space one of the city’s favorite movie theatres. Glenn is Account Manager for all things Pro Audio, and has a strong passion for all things "wireless". Glenn's technical know-how on broadcast and radio solutions is unlike any other in the industry. In his role as Account Manager Pro Audio, Neel guides you to the correct solution when it comes to live and installed sound. Neel has a technical background, and therefore not just "talks the talk", but also "walks the walk".